With the Holy Spirit, there never has to be a spiritual drought! Things have been soggy in West Texas this past year. Green is not an expected late summer and early fall color. This year, however, prairie grass is still green, very plentiful, and much taller than usual! Weeds are growing like crazy. Wildflowers have grown everywhere. Harvests are bountiful. Wow, what a welcome change! The seven years before this wet spell, we lived under severe drought conditions. We impatiently waited for the long anticipated drought buster. We prayed for the cold front that would spawn several days of heavy rain. We were looking for a "gully washer" that would refill our rivers, ponds, lakes, and aquifers. Finally, our drought buster came. Then another. And another. After more than a year of drought busters, most of our lakes, stock tanks, and farm ponds are full. Wildlife, crops, and the countryside are flourishing with the results from heaven’s rain. But, the weather patterns are changing. Weather's naughty "little boy," El Niño, has left the Pacific. We are returning to drought-inducing weather patterns. The countryside will turn brown and yellow. Farmers and ranchers will need rain. Evaporation, irrigation, and drinking water will take their toll on water supplies. Water rationing will once again become necessary. Wouldn’t it be nice never to have to worry about having enough water? Thankfully, we are blessed as children of God to have the Holy Spirit living in us (Romans 8:9; Acts 2:38-39) as God’s living water (John 4:13-14). The Holy Spirit ensures us of God’s continuing presence and power (John 14:15-18). More than the Lord being near us, he has chosen to make his home within us through the indwelling of the Holy Spirit (John 14:18-23). On the last and greatest day of the festival, Jesus stood and said in a loud voice, "Let anyone who is thirsty come to me and drink. Whoever believes in me, as Scripture has said, rivers of living water will flow from within them." By this he meant the Spirit, whom those who believed in him were later to receive. Up to that time the Spirit had not been given, since Jesus had not yet been glorified (John 7:37-39). This endless supply of God’s presence and power through the Holy Spirit is given to us when we believe in Jesus as Christ and Lord and are baptized into his name (Acts 2:36-39). We are each re-born as God’s child into God’s family (Galatians 3:26-29; John 3:3-7). Jesus pours the Holy Spirit out on us because of his grace and mercy in response to our faith (Titus 3:3-7). The Holy Spirit comes to us and makes us spiritually clean and holy just as if we had never sinned (1 Corinthians 6:11). The Holy Spirit is then always within us and always available to us to empower us when we pray (Romans 8:26-27; Acts 4:23-31; Ephesians 6:18). We can ask for the Holy Spirit's power and presence for ourselves (Luke 11:13) and for others (Ephesians 3:16-21; Ephesians 6:18-20). The Spirit is at work in us to help us understand and apply God’s Scriptures, the word of God that he inspired (1 Corinthians 2:12-16; Ephesians 6:17; 2 Timothy 3:16-17). The Holy Spirit leads us as we walk daily in the direction God wants us to go and live in the way the Father wants us to live (Romans 8:14; Galatians 5:16-21, 25-26). The Spirit produces the fruit of God's righteous character and gracious compassion in us (Galatians 5:22-23). The Spirit empowers us to overcome sin (Romans 8:13) as we are transformed to become more and more like Jesus (2 Corinthians 3:18). One day, the Spirit will transform our lowly bodies to become like Jesus' glorious body (Romans 8:10-11; Philippians 3:20-21). While rain can come and go and sources of water can dry up, we have a never ending supply of God’s grace, presence, and power within us through the Holy Spirit. Let’s rejoice in this gift. Let’s rely on the Spirit’s presence. Let’s trust in the Spirit’s power. 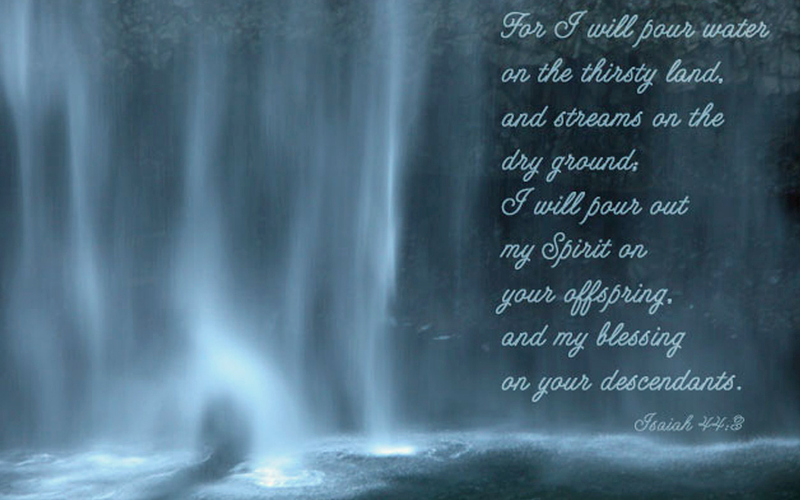 Let’s drink deeply from the overflow of God’s Spirit within us! If you would like to receive my free daily email about the work of the Holy Spirit in our lives, check out SpiritFire and fill in the subscribe information at the bottom of the page! 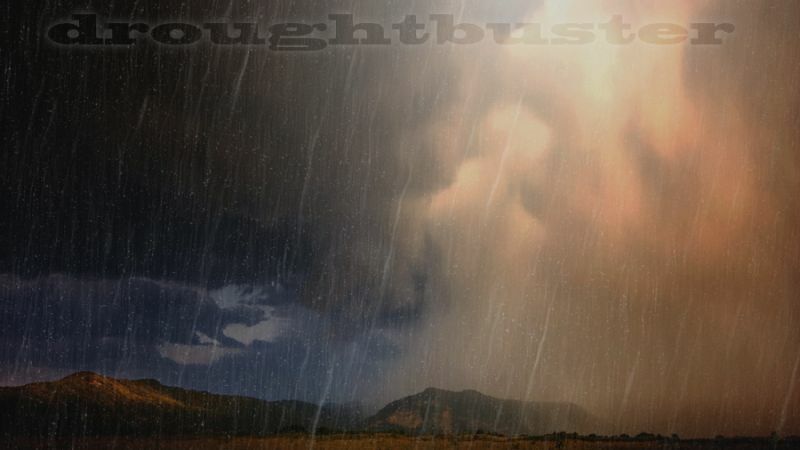 "Drought Buster" by Phil Ware is licensed under a Creative Commons License. Heartlight encourages you to share this material with others in church bulletins, personal emails, and other non-commercial uses. Please see our Usage Guidelines for more information.